The Society of Plastic and Reconstructive Surgeons of Thailand. The Society of Aesthetic Plastic Surgeons of Thailand. 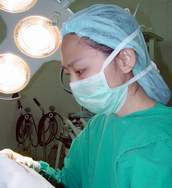 The Thai Society for Surgery of the Hand . The Thai Society for Microsurgery . The 7th Asian Pacific Congress of International conferderation for plastic reconstructive and aesthetic surgery. 3. - Alternative Surgical technique in ptosis eye correction surgery. 5. - Management of Temporomandibular joint dysfunction. 10. - Alternative method of recurrent temperomandibular joint dislocation Surgery. 16. - Alternative method for harvesting nerve graft. 17. 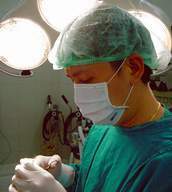 - New technique for Reduction and Fixation method of Wrist Replantation Surgery.